Experts in food packaging solutions, we deliver a fantastic range of food packaging and food packaging labels that help our customers beautifully present and serve food on-the-go. We are the first to deliver innovation in food packaging to meet emerging market trends. Caterlabel is an exclusive, online labelling solution that allows foodservice operators to create, find and print food packaging labels on-site using a computer and a standard printer. 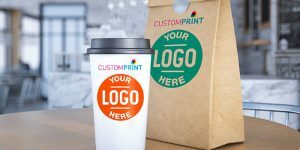 Printed food packaging is a cost-effective marketing tool used by food operators to promote their business brand and help them ‘standout from the crowd’ in a competitive high street environment. Our dedicated print management team works closely with leading suppliers to design, create and manage bespoke printed food packaging for customers, holding stock for up to 6-months to ensure continuity of supply. We are active members of the Foodservice Packaging Association (FPA). 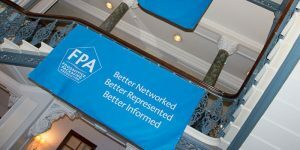 The FPA brings together manufacturers and distributors of packaging used to serve and prepare food and beverages on the go with the UK’s hospitality industry. Together we raise standards with regard to packaging safety, environment and in-use performance so helping to maintain a buoyant UK foodservice sector where foodservice operators and caterers are free to choose the packaging they want and can operate within an infrastructure that allows them to continue to flourish and improve the quality and range of their menu to the public. Great quality, visually appealing bread and salad packaging achieves the very highest standards of on-shelf presentation, whilst providing practical solutions for food on-the-go. The Good 2 Go range also includes paper plates, cutlery and straws. 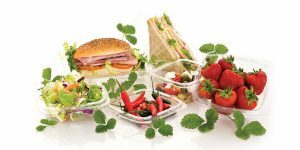 Good 2 Go bread and salad packaging is made from rPET and provides a range of hinged containers for presenting everyday sandwich and salad favourites. Good 2 Go film and foil come as refills for the Good 2 Go WrapMaster system, or as individual cutter boxes. Good 2 Go film is a PVC based film with high cling capability whilst Good 2 Go foil is ideal for roasting – ensuring food is cooked evenly whilst retaining moisture and flavour. 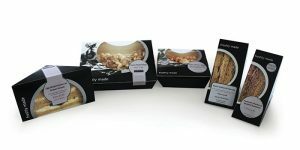 Label 2 Go provides an off-the-shelf range of labels that co-ordinate with the latest food packaging in the marketplace. Available in Kraft, black and silver, black and white, and the popular Street Food design, the labels are designed to fit bread and salad packaging from the Good 2 Go range. 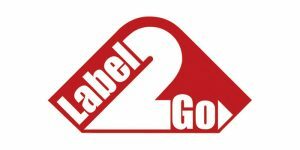 Label 2 Go delivers plain labels, to be used with an exclusive online Caterlabel solution, or pre-printed labels, already displaying product information. 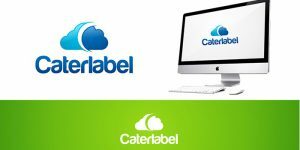 Caterlabel is an online system that allows catering operators to create, find and print food packaging labels on site, using a computer with an internet connection and a printer. Perfect for operators with multiple sites, Caterlabel offers a secure administrative platform to oversee the management of labels centrally. Removing the worry of meeting current legislation by always being up-to-date, Caterlabel is compliant with the 2016 Food Information Regulations (FIR) on nutritional information. Label 2 Go can also manage the production of bespoke labels that display your logo and promote your brand. We have a dedicated specialist distribution company for sustainable packaging products called London Bio Packaging . They carry two unique sustainable packaging brands called Sustain and Revive. 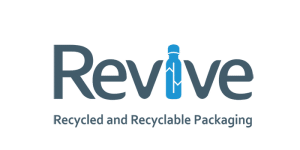 The Revive brand incorporates recyclable packaging products which also contain at least 50 per cent recycled content. Revive Graze Pots are snack-size pots ideal for presenting smaller health-conscious portions – or for between-meal grazing. Part of the Revive range of recycled and recyclable packaging, Graze Pots come in four sizes, with a lid and topper to fit. The innovative topper allows wet and dry ingredients to stay separate. Dart Products Europe is a leading manufacturer of single-use packaging solutions for the retail/consumer and food packaging industries. Customers choose Dart Products Europe for our commitment to setting the industry standard of excellence with a broad range of products. We are a proven leader in providing quality, service and convenience to foodservice markets worldwide. Our two manufacturing facilities in Huntingdon and Cradley Heath use materials such as PET, rPET, paper and EPS foam and have international resources to supply products globally as well as in your local area. The Klöckner Pentaplast Group is a global leader in providing packaging, printing and specialty solutions. With a broad portfolio of rigid plastic films, thermoformed trays, flexible films and services powered by innovation, Klöckner Pentaplast plays an integral role in the customer value chain by marketing and protecting product integrity, safety, consumer health, and ultimately, brand reputation. The company continuously develops new technologies and formulations at thirty-two production sites in eighteen countries – often working together with customers to achieve innovative solutions that establish and strengthen their brands. Excellent services and sustainability are important elements in the success of the company. Cofresco Foodservice, brand owners of catering brands Wrapmaster® and caterwrap™, are an award winning market leader in manufacturing and supplying branded cling film, foil and baking parchment to the Foodservice sector. The Wrapmaster® range of catering dispensers and the Bunzl Good 2 Go Wrapmaster range provide effortless dispensing of film, foil and baking parchment and come in a variety of sizes to suit the requirements of any professional kitchen from high volume establishments to mobile food operations. Wrapmaster® dispensers have a concealed blade making them safe to use whilst delivering the perfect cut every time. They are proven to reduce wastage and increase productivity saving chefs valuable time and money. Recommend by food safety practioners, the Wrapmaster® range helps to prevent cross-contamination by being easy to clean and sanitise during service and easy to disinfect in a commercial dishwasher. Bunzl Catering Supplies launch Diamond pot with 90% rPET content. Bunzl Catering Supplies launch an attractive new Diamond pot made from 90 per cent rPET. 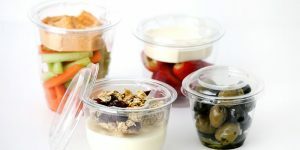 Our partner supplier of food packaging and disposables Huhtamaki has expanded its bestselling Taste Range. According to Current News Magazine, the pancake market is expected to grow 3.9 per cent during 2019-2022. The Jewel™ range embraces the mindful ‘new year, new me’ sentiment, whilst keeping food safe and fresh.